Marc Jacobs was born today, April 9, in 1963. He is a fashion designer. He is the head designer for his own fashion label, Marc Jacobs, as well as Marc by Marc Jacobs, a diffusion line, with over 200 retail stores in 80 countries. He was the creative director of the French design house Louis Vuitton from 1997 to 2014. Jacobs was on Time magazine's "2010 Time 100" list of the 100 most influential people in the world, and ranked number 14 on Out magazine's 2012 list of "50 Most Powerful Gay Men and Women in America." Jacobs was born in New York City. When he was 7, his father, an agent at the William Morris Agency, died. His mother, who remarried three times, was “mentally ill” and “didn’t really take care of her kids”, according to Jacobs. As a teenager, he went to live with his paternal grandmother on the Upper West Side, in an apartment in the Majestic on Central Park West. At age 15, Jacobs worked as a stockboy at Charivari, a now-defunct avant-garde clothing boutique in New York City. While still at Parsons, Jacobs designed and sold his first line of hand-knit sweaters. He also designed his first collection for Reuben Thomas, Inc., under the Sketchbook label. With Robert Duffy, Jacobs's creative collaborator, and business partner since the mid-1980s, he formed Jacobs Duffy Designs Inc. In 1986, backed by Onward Kashiyama USA, Inc., Jacobs designed his first collection bearing the Marc Jacobs label. In 1987, Jacobs was the youngest designer to have ever been awarded the fashion industry's highest tribute, the Council of Fashion Designers of America's Perry Ellis Award for "New Fashion Talent." In 1988, Jacobs and Duffy joined the women's design unit of Perry Ellis as creative director/vice president and president, respectively, following the death of its namesake and founder. In addition, Jacobs oversaw the design of the various women's licensees. In 1992, the Council of Fashion Designers of America awarded Jacobs with The Women's Designer of the Year Award. In the same year, he designed a "grunge" collection for Perry Ellis, leading to his dismissal. 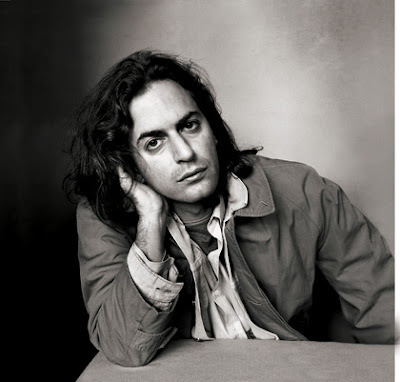 In the fall of 1993, Jacobs Duffy Designs Inc. launched their own licensing and design company: Marc Jacobs International Company, L.P. In 1994, Jacobs produced his first full collection of menswear. In 1997, Jacobs was appointed Louis Vuitton's creative director, where he created the company's first ready-to-wear clothing line. Jacobs has collaborated with many popular artists for his Louis Vuitton collections, including Stephen Sprouse, Takashi Murakami, and most recently, American artist Richard Prince and rapper Kanye West. In the spring of 2001, Jacobs introduced his secondary line, Marc by Marc Jacobs. In 2006, Jacobs started a new line of body-splash fragrances in10-ounce bottles which are distributed by Coty. First only being sold in perfume boutiques, they have become more and more popular during the recent years. In 2009, Jacobs launched a shirt, sold at his stores, demanding the legalization of gay marriage. In May 2009, Jacobs co-hosted, with fashion model Kate Moss, a "model and muse"-themed gala for the New York City Metropolitan Museum of Art's Costume Institute. The Marc Jacobs Spring 2016 advertising campaign features Human Rights activist Lana Wachowski, and celebrities like Sandra Bernhard, Bette Midler, Juliette Lewis, Christina Ricci, Sky Ferreira, Bella Hadid, and Emily Ratajkowski as well as less known artists Vincent Michaud, Oli Burslem, and Milk, a contestant from RuPaul’s Drag Race, as well as several runway models. Jacobs' personal life is often tabloid fodder. In January 2010, Jacobs reportedly was engaged and/or married boyfriend Lorenzo Martone, a Brazilian PR executive, in St. Barts in the French West Indies, but the relationship ended shortly afterward. 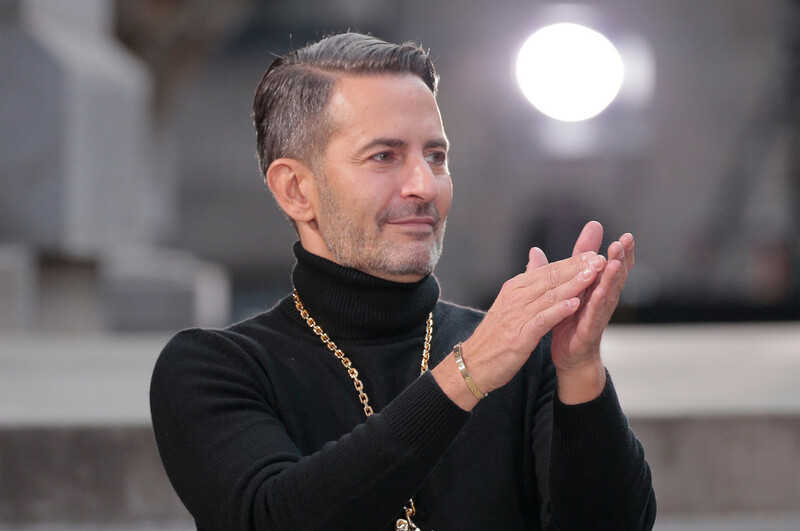 Marc Jacobs has been in relationships with adult film star Harry Louis (2011 - 2013), Austin Armacost (2008 - 2009) and Jason Preston. On April 4 2018, Jacobs proposed to his model boyfriend, Charly Defrancesco, via a flashmob while in a Chipotle restaurant. The flashmob did a routine to the song "Kiss" by Prince.